JLE Electrical in Dubbo is a local provider to regional NSW for electrical, communications and industry services. Growing from a staff of five to 35 employees has enabled the company to become an accredited specialist in underground and overhead power line construction and cable jointing for supply authorities and mining professionals. JLE’s commercial and industrial electricians provide electrical installations, maintenance and industrial applications while the business has also recently introduced JLE Engineering which complements existing services. Since becoming operational in 2006, JLE Electrical has worked with other service providers such as private developers and builders, public works and local and regional councils on a wide range of commercial and industrial projects. These include road and rail, new subdivisions and infrastructure works on hospitals, correctional facilities, mines and quarries, abattoirs and shopping centres. JLE’s core structure stems from its managing director, business manager, power manager, electrical manager and service manager who lead the company towards being the best in the business. The company’s strength lies in its employees who always strive to do the best possible job by planning and talking to clients about their projects to enable them to deliver on time and within the set budget. JLE Electrical have been rewarded for their efforts with recognition in the annual Dubbo Chamber of Commerce business awards. In the future, the company is expanding its workforce to reach a larger area and offer more services. 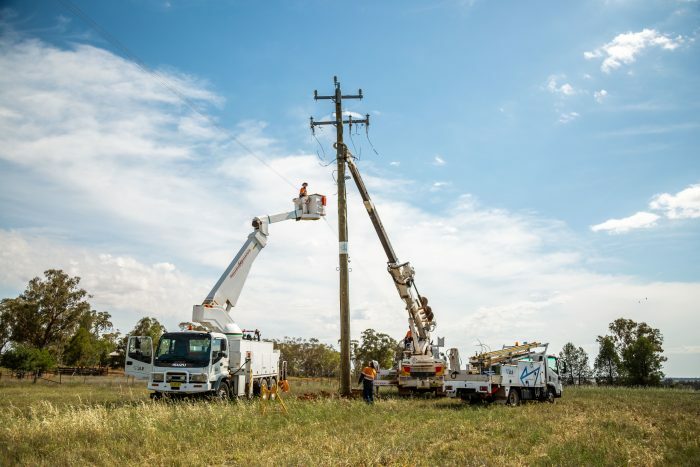 Opportunities are positive going forward with a growing business and JLE’s expanding workforce aims to service all areas of central and regional NSW. While city-based construction companies following work opportunities in western areas may pose a threat, they often lack the local knowledge needed to complete local projects. With company growth, workforce expansion and the new engineering division, JLE Electrical aims to become a major player in the electrical industry through central and regional NSW.